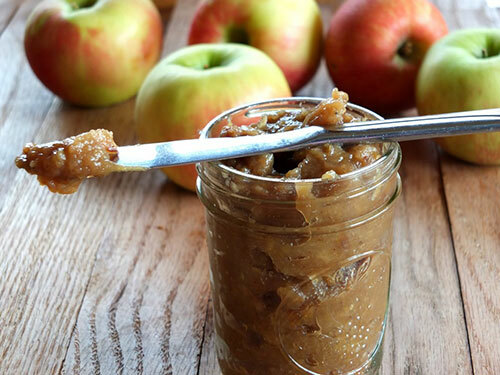 Apple butter is a luscious, thick, and rich fall treat that’s perfect in and on everything from paleo bread to cakes, cookies, and even ribs or chicken. 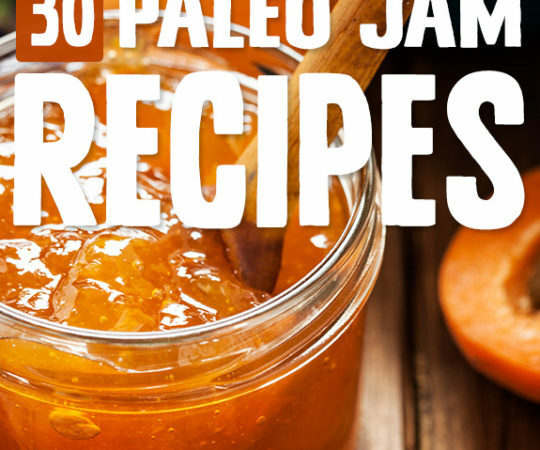 Try out these paleo apple butter recipes that are refined sugar-free, grain-free, and good for your body. I have fond childhood memories of a local orchard that sold apple cider donuts—my dad would bring us there every morning before school. Not so healthy, but definitely fun. These apple butter donuts are a healthier version, made with a grain-free base and sweetened with just apple butter. Let’s start with basics, shall we? 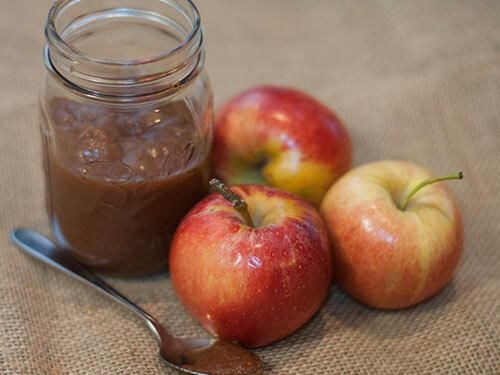 Apple butter is delicious, and easy to make. Some of the recipes I’m sharing today are for apple butter itself, while others use it as an ingredient. 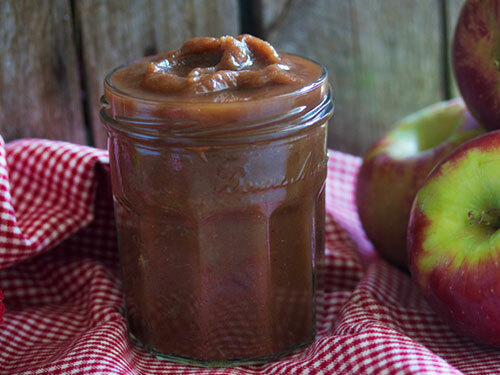 If you need a go-to apple butter recipe to make those, try this one on for size…and taste. Made with banana “nice cream” (frozen bananas whipped into a delicious soft-serve-like confection), vanilla extract, almond milk, apple butter, and candied pistachios, this healthy treat is sure to calm your sweet tooth with natural fruit sugars. The thing I love most about sweet potatoes is that they can be served both sweet and savory, and this crispy baked fry recipe does both. Bake up delicious sweet potato wedges with sea salt, black pepper, and fresh parsley, and serve them with homemade sugar-free apple butter! This apple butter is good for your body and digestive system with probiotics, which aid in balancing your gut microflora. Made it with gala apples, ground cinnamon, ground cloves, and Body Ecology Culture Starter. 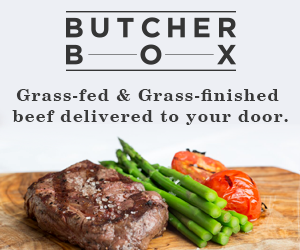 And do it in your slow cooker to boot! 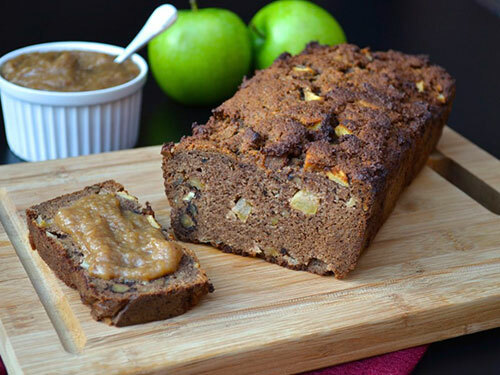 This apple walnut loaf is made with an almond flour base, making it a super high-protein bread you don’t have to feeling guilty about noshing on after your workout. Did I mention the only sweeteners are apples and a quarter cup of honey? This is dang good bread. Thumbprint cookies are the best of both worlds: they have a crispy-crunchy shortbread base with a gooey-chewy fruity filling. In this case, cashew-based thumbprint cookies are filled with apple butter, which compliments the maple syrup flavor. 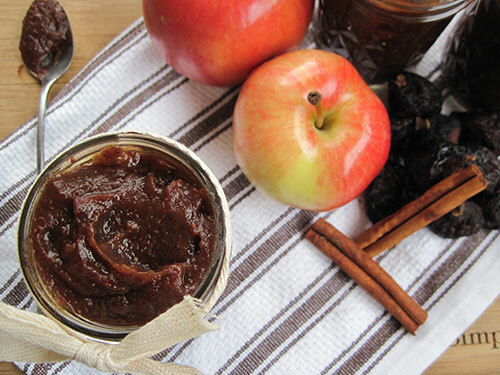 Can’t choose between pumpkin butter and apple butter? Choose both! This stevia-sweetened blend is made with pumpkin-puree, baked apple, and cinnamon, and the natural sugars (plus a bit of stevia) in this treat are enough to make it deliciously creamy and sweet. All you need for this paleo-friendly apple butter is lots of apples, cinnamon sticks, and ground cinnamon. 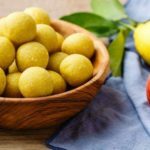 The apples are sweet enough on their own that you don’t need to add any kind of sweetener—not even stevia! The trick is that the slow cooker caramelizes the fruit sugars. 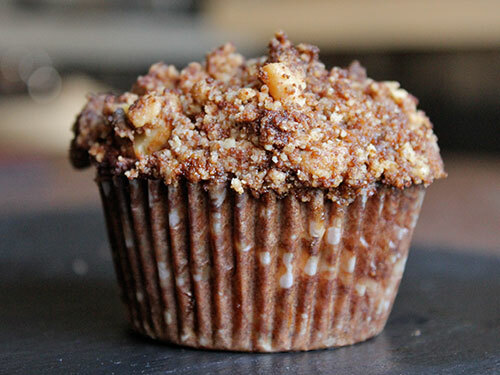 These amazing muffins are full of cinnamon, cloves, ginger, apples, and apple butter (make sure yours is paleo-friendly or make your own), and they’re topped with an amazing ground walnut and coconut sugar crumble topping you’ll want to eat off the spoon. There’s nothing better than biting into a tasty muffin and realizing it’s stuffed with a delicious filling. Okay, maybe there are a few things better, but you have to admit that these pumpkin spice muffins filled with apple butter seem like the best treat for fall. Perfect for an autumn party, this apple butter cake is where it’s at. You’ll need coconut flour, almond flour, cinnamon, allspice, nutmeg, ginger, cloves, salt, eggs, coconut oil, maple syrup, apple butter, vanilla, and apples. Top it with a maple cinnamon glaze—yum! 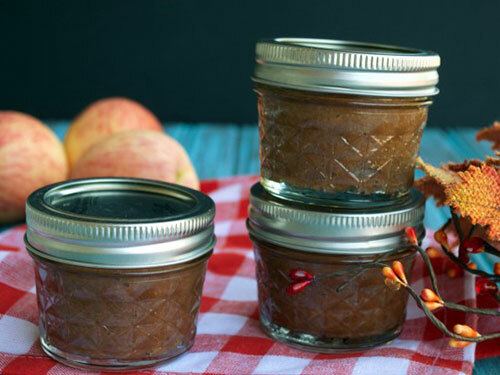 Scroll past the pumpkin butter recipe for an amazing apple butter made with fuji apples, maple syrup, dates, chia seeds, vanilla extract, ground cinnamon, lemon juice, and sea salt. 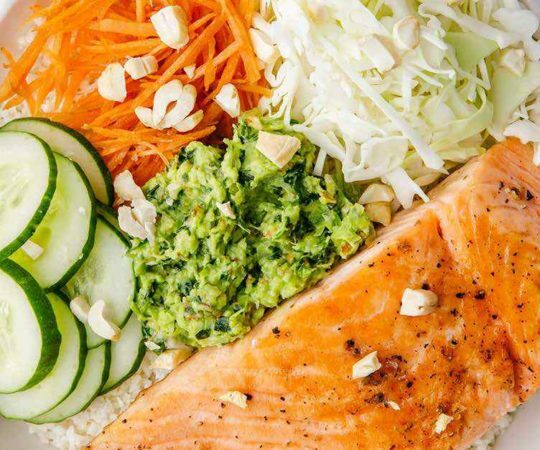 The flavors are out of this world, and you’re getting some protein and Omega-3s as well! One of the great things about making homemade apple butter is that apples play well with lots of different spices. 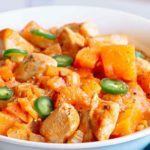 This recipe uses both cinnamon and allspice for a unique flavor, and coconut sugar provides a tasty sweetness you won’t be able to get enough of. Thanks to the addition of coconut milk and vanilla, this pumpkin apple butter combo is deliciously creamy and provides a dose of healthy fats for your body. The chopped pecans add protein and a yummy texture everyone will enjoy. Apple and chicken are an awesome combination, and this apple-roasted chicken has triple the apples with apple cider, apple butter, and apple cider vinegar along with coconut sugar, fresh rosemary and sage, sea salt, and freshly ground black pepper. Would you just look at the silky, decadent apple butter glaze on this chicken?! Make it with chicken thighs, homemade apple butter, Dijon mustard, coconut aminos, sriracha sauce, paprika, sea salt and freshly ground black pepper, and a cooking fat of your choice. Made easy in your slow cooker, this apple butter is flavored with cinnamon, cloves, allspice, and lemon juice. 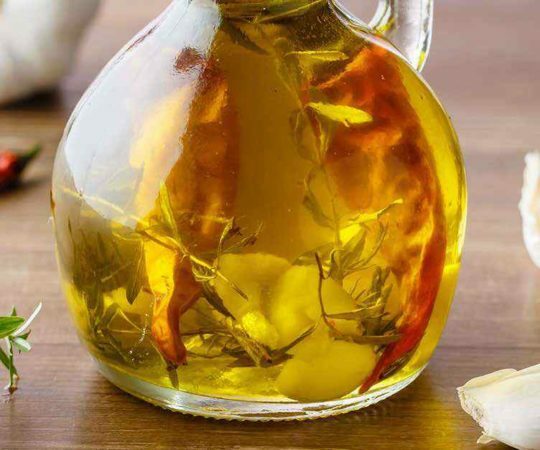 I love the spiced taste of this one, and the lemon juice also helps it to keep its delicious caramel color before you’re ready to eat it all up. 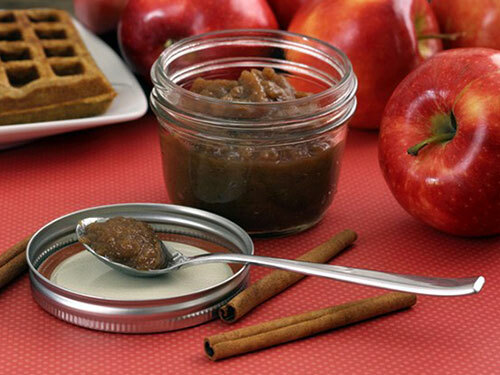 Made with apples, cinnamon, cloves, and nutmeg, this delicious apple butter has a flavor reminiscent of spring with the addition of local honey. 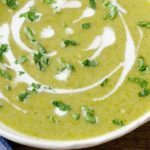 Because you’re cooking it in your slow cooker, it doesn’t really take a lot of work or attention, so there’s no reason not to make it today! 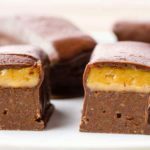 Sweetened with apple butter and maple syrup, these seed bars are high in protein and so tasty. You can use a seed flour of your choice—pepita flour would be perfect. 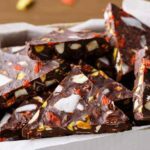 I love them with the dark chocolate chips and chopped up dried apricots mixed throughout! 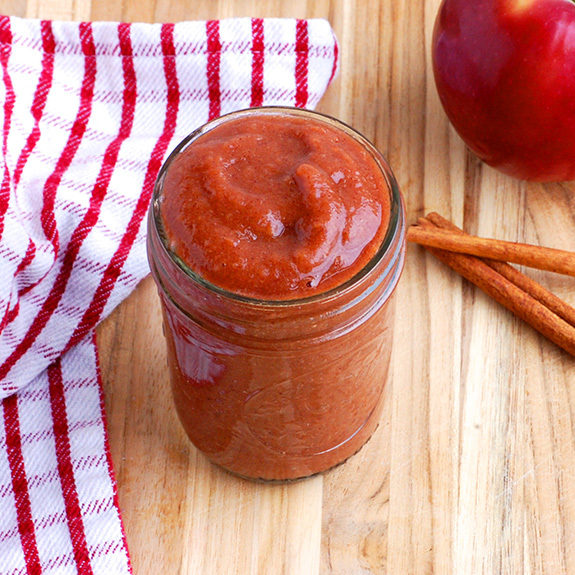 What is it about pumpkin and apple that makes them taste so good together? I don’t know, but you can definitely taste what I mean in these pumpkin crepes made with coconut milk, eggs, maple syrup, and spices, topped with easy 2-ingredient homemade apple butter. 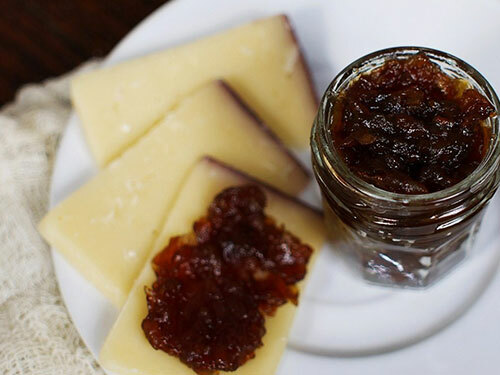 Figs have a delectable sweetness that really helps sweeten up this apple butter and ad an awesome flavor, along with apple cider, honey, cinnamon, ground cloves, and nutmeg. You’ll need to get your hands on plenty of dried black figs for this recipe. Like a cross between cookies and cake, these chocolate chips treats are sweetened with just bananas and apple butter—the apple butter is technically optional, but is has such a rich flavor and goes so well with cinnamon that you definitely shouldn’t leave it out. 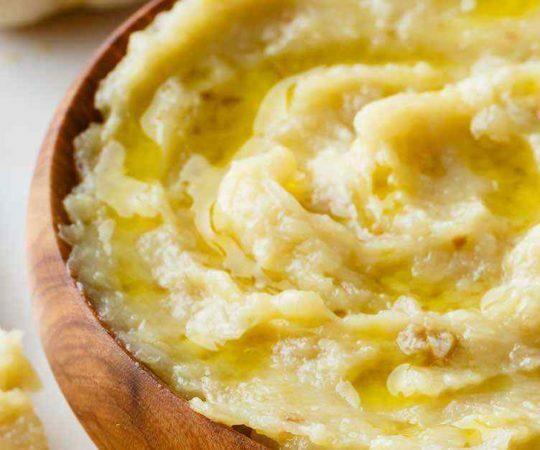 Made with sea salt, medjool dates, almond and vanilla extracts, lemon juice, cinnamon, apples, and almond milk, this super-creamy apple butter tastes like it’s been swirled with caramel for an amazing treat. But it’s healthy, and sweetened only with dates and apples? 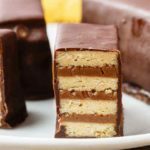 I love the layered effect of this low-sugar, naturally-sweetened torte made from almond flour, tapioca flour, ghee, vanilla and maple extracts, sea salt, brown figs, monk fruit sweetened, flax meal, and apple butter—use your own homemade apple butter! I love making apple butter and other fruit butters, but I have a small household, and I don’t often want pounds and pounds of sweet stuff hanging around until we can finish it, or until it goes bad. 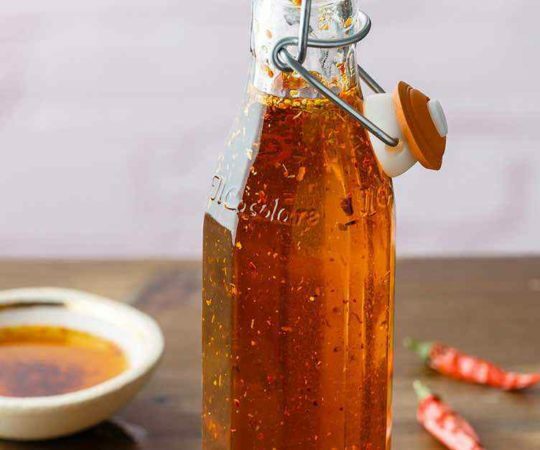 So this small batch recipe is perfect, and it has a lovely maple vanilla flavor. 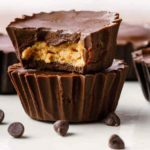 You can make these treats with cooked pumpkin or any other winter squash. Enjoy them with cinnamon, ginger, molasses, coconut milk, apple butter, and toasted coconut. I like to make a double batch so I can pull the jars out of the fridge when I need a treat. These ribs are dripping with flavor and are super juicy. 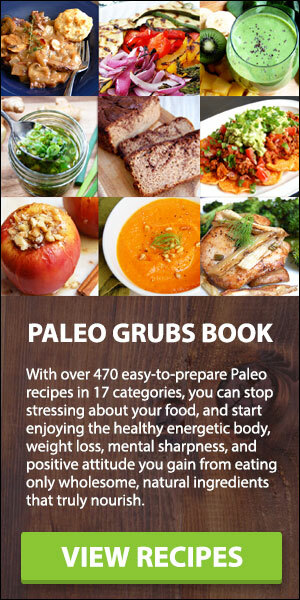 You’ll need to replace the brown sugar with coconut sugar, but all of the other tasty ingredients, like black pepper, celery salt, garlic, salt, maple syrup, apple cider, and apple butter are paleo-friendly. You’ve got a whole cup of apple butter in this recipe to thanks for the rich and moist texture and dense apple flavor. 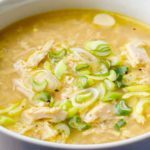 You’ll also need eggs, maple syrup, coconut oil, cinnamon, nutmeg, coconut flour, tapioca flour, chopped apples, and a few other standards. This apple butter is exceptionally smooth, with organic apples, apple juice or cider (I’d go with cider for a deeper, richer flavor), lemon juice, nutmeg, vanilla, cinnamon, cloves, and a dash of salt. The salt really brings out the flavor, while vanilla makes it extra delicious. 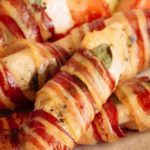 This delicious BBQ sauce is perfect for any grilled recipe, and it’s made with a host of tasty ingredients. 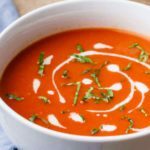 Replace the brown sugar with coconut sugar, and you’re good to go with ingredients like apple butter, tomato sauce, onion powder, chili powder, allspice, crushed red pepper flakes, and more.